The Core Cities Group (also Core Cities UK) is a self-selected and self-financed collaborative advocacy group of large regional cities in the United Kingdom outside Greater London. The group was formed in 1995 and serves as a partnership of ten city councils: Birmingham, Bristol, Cardiff, Glasgow, Leeds, Liverpool, Manchester, Newcastle, Nottingham and Sheffield. The Core Cities Group has wide ranging interests, encompassing transport and connectivity, innovation and business support, skills and employment, sustainable communities, culture and creative industries, climate change, finance and industry, and governance. During 2012, the first wave of city deals recognised the eight cities as "the largest and most economically important English cities outside of London". The group features a combined population of over 21 million It has been considered one of the most powerful political lobbying groups in the country. The group formed in 1995 and membership was made up of eight local authorities with city status; of which six are metropolitan borough councils and two are unitary authorities in the English local government system. 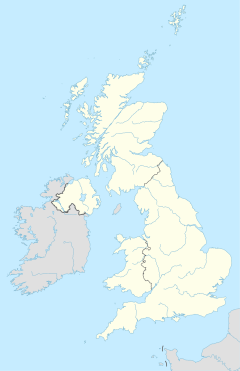 These cities were: Birmingham, Bristol, Leeds, Liverpool, Manchester, Newcastle, Nottingham and Sheffield.The local authorities came together to challenge the centralised nature of the British state by advocating for the devolution of greater freedom and controls. The eight city councils are also members of the pan-European Eurocities network, a group co-founded by Birmingham City Council, and the Global Parliament of Mayors. In 2003 then Deputy Prime Minister John Prescott addressed the Core Cities Group, advocating "choke-off growth in the economic powerhouse of London and the south-east" in order to stimulate growth and productivity within the Core Cities. With the exception of Bradford and Hull, the initial members of the group mirrored the first county boroughs, that is the 10 English cities "dealt with as separate counties" under the Local Government Act 1888. Since 2010 British cities outside England have started consultations for incorporation into the group. In August 2014, Glasgow joined the group as the first non-English city, followed by Cardiff in 2016. Though Edinburgh has taken part in meetings and has been approached about membership, has never officially been a member of the group. In 2018, Bristol hosted the first meeting of Core Cities Group leaders with combined authority mayors. In October 2018 the group publish a report titled "Cities 2030: Global Success, Local Prosperity", arguing for the economic potential of British cities- where they lag behind international counterparts- combined with a vision for cities. The Core Cities Group have published research on the utilised benefits of more powerful cities that have greater economic control, particularly in growth and productivity. During the passage of the Localism Act 2011, the group promoted the 'Core Cities amendment' to allow for bespoke decentralisation to its members, which was successfully incorporated. Several of the 'City Deals' subsequently agreed between the Cabinet Office/Department for Communities and Local Government in 2012 included enhanced powers and city regional working at their core, including new combined authorities, thanks to the provision. The introduction of directly-elected mayors to combined authorities in England and the devolution of housing, transport, planning and policing powers to them were provisions contained in the Cities and Local Government Devolution Act 2016. An interest of the group is the High Speed 2 project to interlink the larger British cities faster. In 2019 Judith Blake, chair of the Core Cities Group and leader of Leeds City Council wrote "HS2 is more than just a railway line, it will unlock future jobs, training and regeneration opportunities that will benefit many of our 20 million citizens. Core Cities UK believes HS2 is a game-changer for the Midlands and the north". The Core Cities Groups has attempted to establish a dialogue with the European Union and the British government in the negotiations to leave the European Union, following the 2016 EU referendum. The combined electorate of the ten core cities saw 56% vote for remain. It was noted by Cardiff council leader Huw Thomas that EU investment out-weight the British Government's city deals. Because of this, the group has lobbied the government to maintain EU regeneration schemes in negotiations The group has also met chief European negotiator Michel Barnier. In 2019 the leaders of the cities in the group sent a letter to Prime Minister May asking her to avoid a no-deal brexit. ^ a b "Prime Minister reaffirms government commitment to HS2". Planning, BIM & Construction Today. 27 March 2019. Retrieved 4 April 2019. ^ "Manchester City Deal brings 6,000 jobs boost – Announcements". communities.gov.uk. 20 March 2012. Retrieved 17 July 2013. ^ "Core Cities lay out devolution timetable for England". Public Sector Executive. 9 February 2015. Retrieved 2 October 2018. ^ Hannah Fearn (21 December 2014). "Local government shake-up: British cities seek to raise own taxes and go it alone". The Independent. Retrieved 2 October 2018. ^ a b c Marvin Rees (1 October 2018). "Marvin Rees: The case for the Global Parliament of Mayors". City Metric. New Statesman. Retrieved 2 October 2018. ^ a b Judith Blake (31 October 2018). "The future of cities in the UK: A vision for 2030". Open Access Government. Retrieved 11 November 2018. ^ Simon Parker (6 June 2003). "Provincial cities 'holding back' England". The Guardian. Retrieved 2 October 2018. ^ "Historic moment as Core Cities welcomes Glasgow into group". birminghamnewsroom.com. 14 August 2014. Retrieved 23 January 2016. ^ Sarah Dickins (9 February 2015). "Cardiff joins the big hitting cities". BBC News. Retrieved 23 January 2016. ^ a b Susanna Rustin (23 January 2015). "The new city centres: the alternative establishment that wants to wrest power from the capital". The Guardian. Retrieved 2 October 2018. ^ "Competitive Scottish Cities? : Scotland's Cities in the UK and European Context". The City of Edinburgh Council: 3. 12 April 2005. Retrieved 2 October 2018. ^ Chris Murray (2 February 2012). "Core cities: laying down the foundations for growth". The Guardian. Retrieved 2 October 2018. ^ "Core Cities amendment to the Localism Bill clears the House of Commons". Core Cities Group website. Archived from the original on 17 July 2012. ^ "City Deals and Growth Deals". cabinetoffice.gov.uk. Retrieved 23 January 2016. ^ "Bringing our country together: cities, towns and counties to get stronger powers" (Press release). gov.uk. 29 May 2015. Retrieved 1 June 2015. ^ "UK's big cities support launch of HS2 consultation". corecities.com. Retrieved 3 March 2011. ^ Peter Box (27 June 2018). "Britain is full of powerful mid-sized cities. Let's unlock their potential". The Guardian. Retrieved 2 October 2018. ^ a b "Brexit: Cardiff leader presses Barnier for 'strong links' with EU". BBC News. 19 February 2018. Retrieved 2 October 2018. ^ Jennifer Rankin (19 February 2018). "UK cities shut out of Brexit discussions, say leaders". The Guardian. Retrieved 2 October 2018. ^ Ruth Mosalski (13 March 2019). "Live updates as MPs reject no-deal Brexit by 312 to 308 votes". Wales Online. Retrieved 4 April 2019. ^ "British urban pattern: population data" (PDF). ESPON project 1.4.3 Study on Urban Functions. European Spatial Planning Observation Network. March 2007. p. 119. Archived from the original (PDF) on 24 September 2015. Retrieved 22 February 2010.